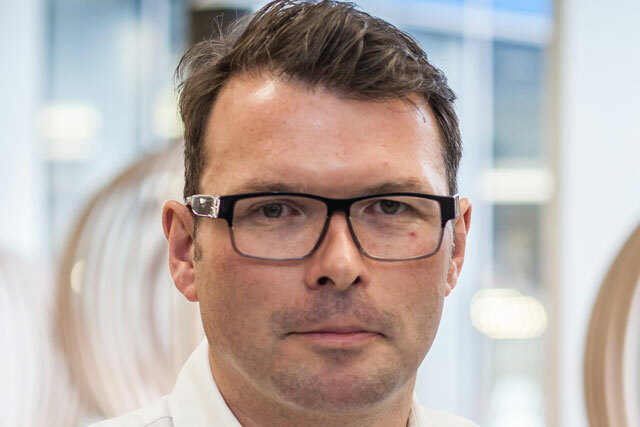 This week, Paul Thompson, managing director at Blis Media, talks location-based targeting, explains why "data scientists" are his hot new hires and wakes to the accurate daily alarm call of 'Trouble and Trouble'. No need for an alarm since the twins (aged four) were born. One of them will wander into the bedroom with surprising accuracy at 6am. Sadly, they are yet to master snooze mode, so it's off to work I go. I live in Crouch End, so the journey into work is relatively painless and it allows me the opportunity to scan BBC news, Guardian, Mail Online and Sky Sports apps on my phone to catch up with what's going on. When I get into the office, the morning is filled with meetings with the Blis leadership team. I am very fortunate to work with enthusiastic and bright people who have a genuine passion for what they are doing – it makes my life easy. My first meeting of the week is always with Charlie Smith, my head of sales, to review the numbers and to figure out what sales are expected to close in the week ahead. I leave Monday afternoons free to focus on getting started on the week's work, beginning with sending out my weekly update to Greg Isbister, Blis' Founder. Greg is now based in Singapore setting up our APAC operation. It's an early start so I sneak out of the house trying not to wake anyone up, failing miserably. I read The Economist on the way to work. It downloads to my phone automatically and for that reason alone I now read pretty much every issue. I have a breakfast meeting with Theo Theodorou, senior VP EMEA at Videology. We discuss a potential data partnership. Blis has amassed a huge location database with over 500,000 locations mapped, allowing us to offer the most accurate location targeting available in the UK. When I get into the office I have back-to-back one-to-ones with David Evans who runs the ad operations and supply team, and Sarah who looks after finance and HR. It's my opportunity to ask them what help I can offer and check that the priorities for the week are aligned. I complete an RFI for an agency trading desk, this one covers the US and EMEA. The questions help me focus on where the business is today. The twins are off to nursery and I have volunteered to do the school run. They both give me grief and run off in glee. I chase after them and spend 10 minutes coaxing them into the car and then another 10 minutes on the other side. Twins safely deposited at nursery, I’m running late for a presentation I am giving to Talon to convey that what Blis does, targeting audiences based on location, is similar to the world of outdoor. I like to position the Blis business as more location-based targeting than mobile. Actually the platform is device agnostic and we target lots of laptop traffic for our customers. Mindshare is our largest customer and has really embraced this. Next meeting up is my weekly catch-up with Kevin McGovern, Blis' CFO. We review my action list. This is normally over the phone, as Kevin lives in Barcelona, but this week he is in the office. Lunch is spent with a client from OMD in a little seafood restaurant just round the corner from our office. I enjoy hearing the views of our customers and what's going on around them. It always amazes me how complex the world of communication has become. In the afternoon I have a conference call with a large ISP interested in working with Blis, as we can help monetise the data that flows through their network. Then I am off to meet up with Sandy Hubert, the head of Cadreon, to discuss business and to hear the development plans for that part of the IPG network. It's 6.15am. The twins wander in together to explain it must be wake-up time as the sun is shining. I attend my fortnightly status with one of the Blis ISP partners to review the business from a commercial and technical point of view. Almost every week we learn something new about monetising data and how to do it effectively. This partner has been brilliant in taking the journey with us. Mark-Anthony Baker, strategic communications planning director at Joule pops into the office to see a live demonstration of the technology – he really knows his stuff. Late in the day I have a conference call with the AppNexus team in the US to discuss data sharing and platform partnerships. I end the day at a leaving do for an old colleague who is moving agencies – an ideal opportunity to catch up with a lot people in one go and in so doing, make a mental note of who I need to follow up with. 6.45am. No sign of ‘Trouble and Trouble’. The twins give me a break and a small, much-appreciated, lie-in. Friday is my day to reflect on the successes of the week and to review what has been accomplished. This business moves at an accelerated speed. Somehow there are always new things to learn which makes the job incredibly exciting and engaging. David Matthewman, our head of engineering catches up with me to discuss the week just gone. The engineering team is growing rapidly and we recently enhanced the team with data scientists including Alex, a super-smart guy who is developing behavioural and location trends from all the demographic and other data that the Blis platform is generating. I then catch up on emails and do the admin for the business. My CFO polices me to make sure all the important stuff gets done. I am sure I never used to be this efficient! I can be easily distracted if something comes up that needs my input or approval. 4.30pm. It has been a good sales week. I reflect on how lucky I am to work in an environment that contains such a diverse range of people, from the sales team and finance, through ad operations to engineering. The week ends just as it should, with a team beer in the pub across the road. Dream job: Of course the one I am doing right now. I'm living the dream. Not a lot of people know: I once had very long hair and worked for the Ministry of Sound.